MediFast Inc. was founded in Toronto in 1991 to provide mobile paramedical services to insurance companies. After initial recognition of our quality services by the insurance industry, a Vancouver branch office was established in 1994. Throughout our developments, MediFast's quality services were endorsed by numerous insurance companies in Canada. 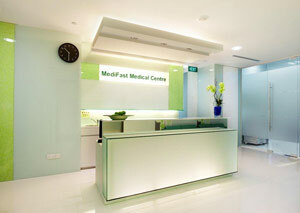 MediFast (Hong Kong) Ltd. was established in 1995, as the pioneer in bringing the mobile paramedical concept to Asia. Currently, MediFast is the largest pre-insurance check-up organization in Asia as we provide our services to over a thousand insurance companies and international corporations in both North America and Asia. In addition to our pre-insurance check-up services, MediFast rapidly expanded its service scope to include health check for the general public in Hong Kong, with health check centres located in Mongkok and Causeway Bay. Our full service facilities include digital X-ray screening, mammography, treadmill ECG, ultrasound screening and bone densitometry. In addition, "VIP Lounges" were set up in both of our health check centres to provide privacy for our privileged clients. We are now operating in four countries with offices in Canada, Hong Kong, Singapore, Malaysia and China. In the coming future, we look forward to serving more people around the world, and determine to continue the excellent services we have been known for, wherever we go.